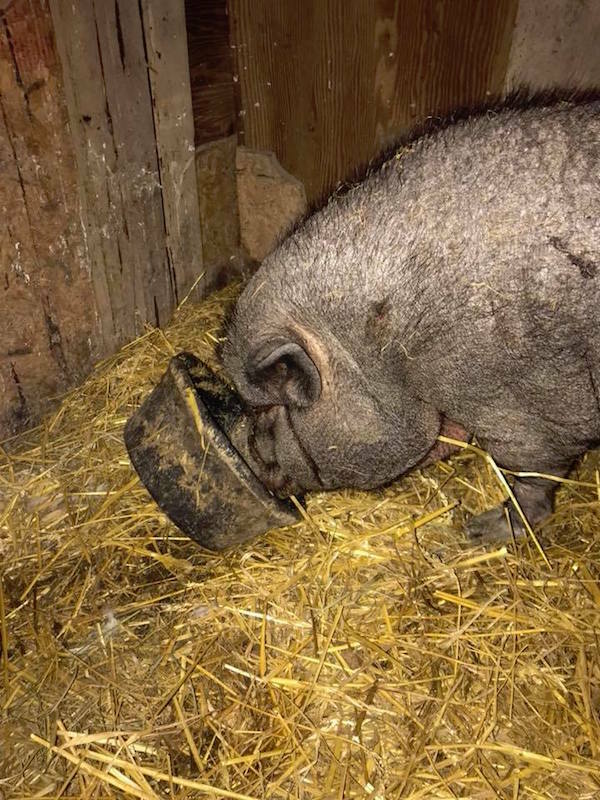 A pig who was neglected in the cruelest way imaginable for 11 years is finally learning what love is. Anna is a potbellied pig who was rescued after she was found locked up in a barn all alone. She had been so badly neglected, that her hooves had overgrown to the point that it was painful for her to take any step. She would cry out in pain any time she attempted to walk. 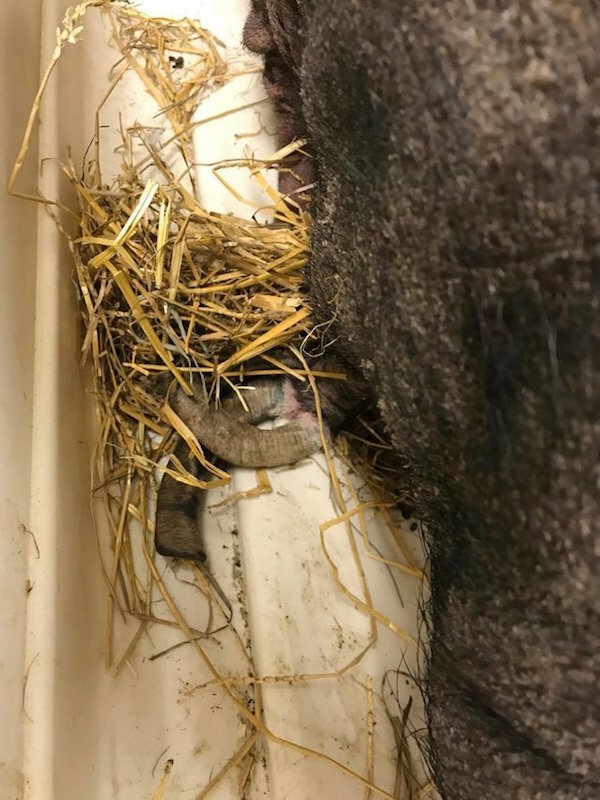 She also had an array of health issues that had been left untreated – bad skin, infected eyes, arthritis, according to the Dodo. Even more heartbreaking was that she didn’t know what it was like to be touched and had never interacted with other animals. 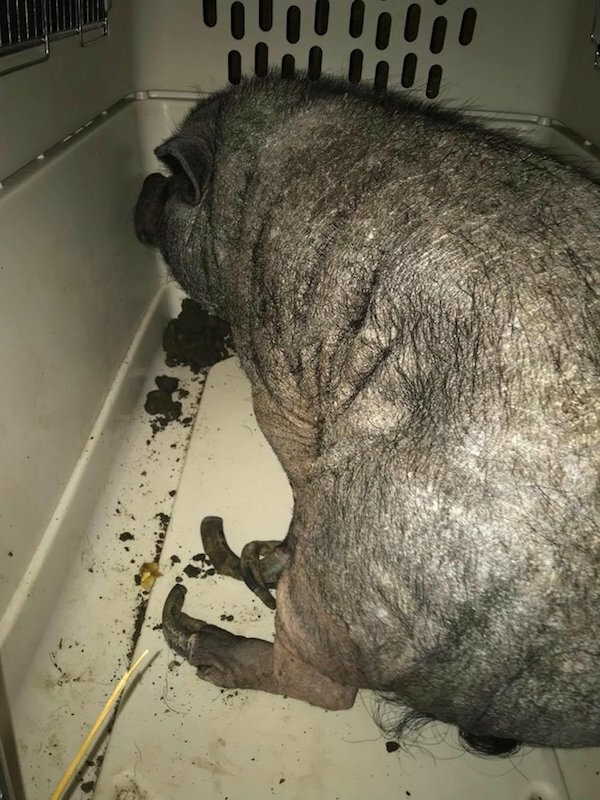 She had been completely isolated and was all alone – a cruel environment for a pig, as they are extremely social animals. But her life will be so much better now that Anna (previously named Hannah) was rescued by Happy Tails Farm Sanctuary in Kingston, Ontario. Carla Reilly Moore, who founded the sanctuary with her husband, received a call from Ralphy’s Retreat Sanctuary about Anna. Anna’s owners had abandoned her, but were caught and charged with animal cruelty, neglect and abandonment. 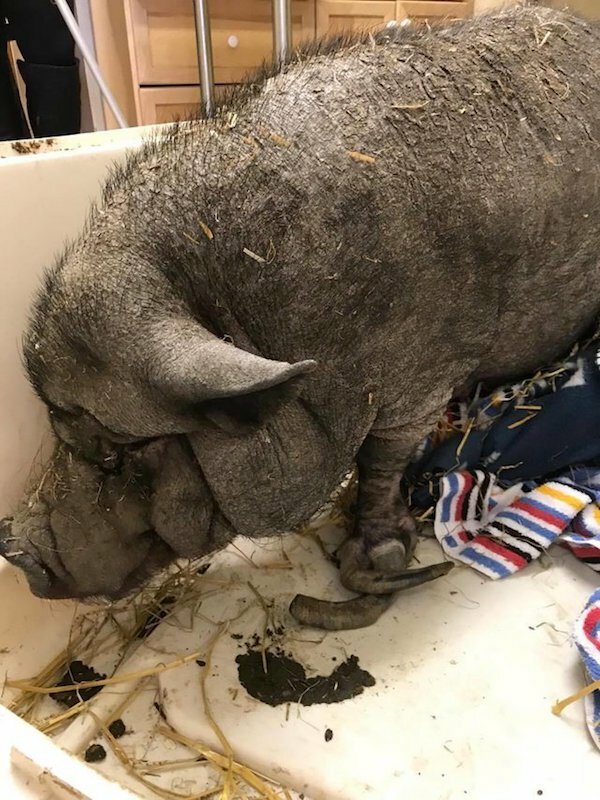 But as Anna was old, had so many health problems, and because animal sanctuaries and rescues across the Canadian province have no more room for potbellied pigs, things were not looking good for her future. When Carla first saw Anna, she was shocked that she was still alive. She just knew she could not turn her back on her. Anna was taken to the vet and the first thing they did was fix her hooves so she could walk again. 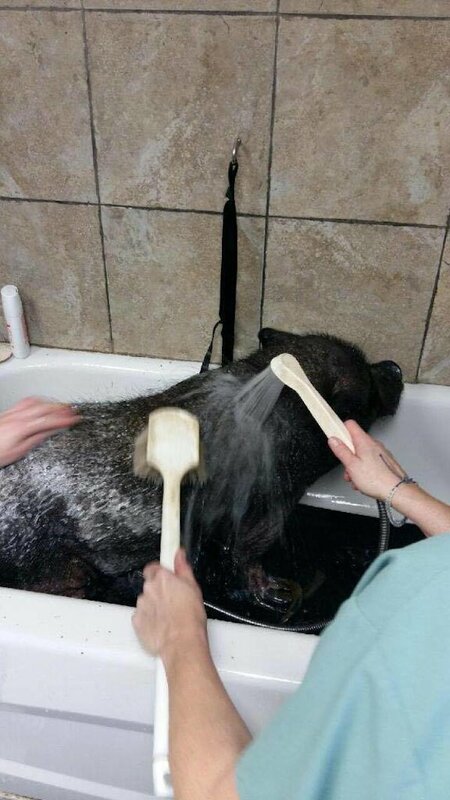 They gave her pain medication, medicine and a much needed scrub/bath. After some long overdue TLC, Anna’s personality began to emerge. Carla has shared several heartwarming videos of Anna’s progress. After just a few days, Carla has been amazed by Anna’s transformation. “The transformation has been unbelievable! 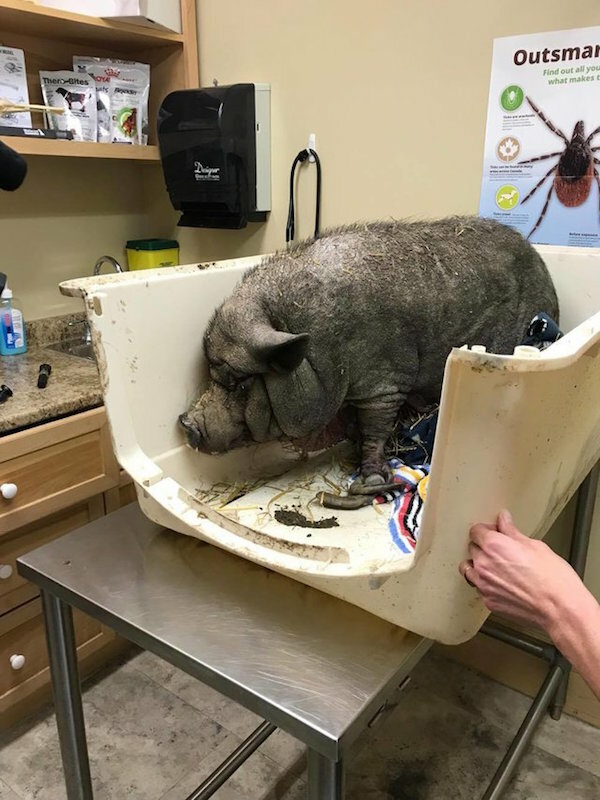 I really have no words and I’ve never seen an animal turn around this quickly,” she said on Facebook. “Anna is eating grapes from my hand, resting her head on my leg while I give her love, allowing me to scratch her and give her belly rubs, and allowing me to touch her face,” she shared. You can see more of the rescue work Happy Tails Farm Sanctuary does on their website.